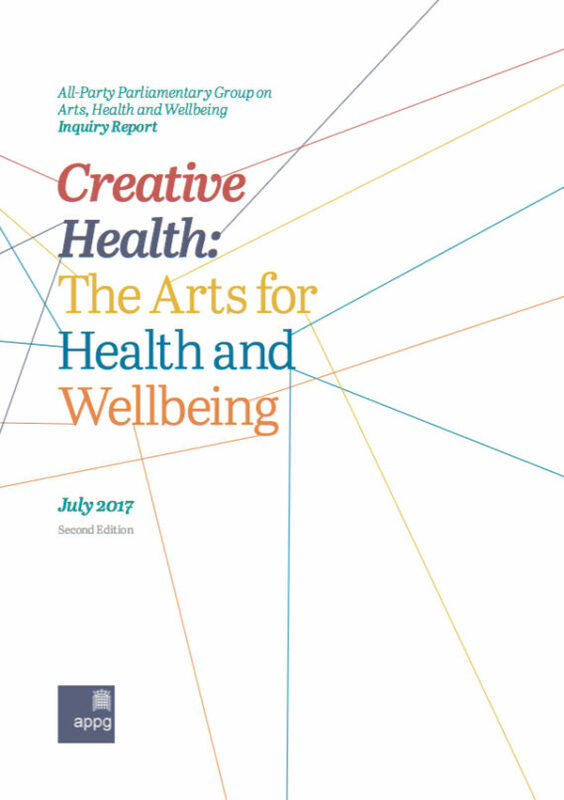 Lengthy report that provides a comprehensive review of the evidence that participating in the arts leads to better health and wellbeing outcomes at all life stages. Includes hundreds of interviews and many case studies. A cost-benefit analysis shows a 37% drop in GP consultation rates and a 27% reduction in hospital admissions, representing an NHS saving of £216 per patient. Published by the All-Party Parliamentary Group on Arts, Health and Wellbeing, one of its recommendations is that politicians and policy makers in different government departments need to work together more to optimise promotion. The All Party Parliamentary Group for Arts, Health and Wellbeing was launched in January 2014. Peers and MPs with a shared interest in the field of arts and health come together for regular events to hear about and discuss the latest developments relevant to current policy priorities.